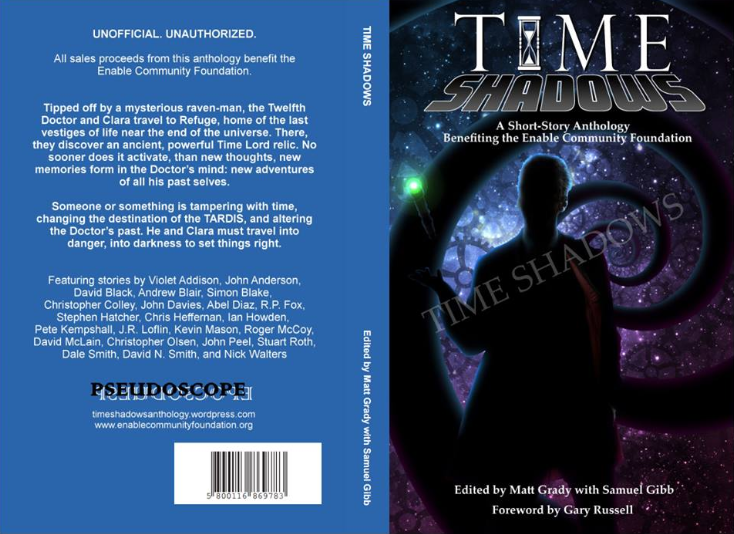 After several months of hard work, delays and personal to-dos, Time Shadows, the unofficial, unauthorized Doctor Who short-story anthology for the benefit of the Enable Community Foundation, is now available for order! Enjoy a collection of 25 fun, dark or wild tales with all twelve Doctors, from a variety of veteran and new authors to the franchise (including Daleks' mainstay John Peel and myself, Abel Diaz), all connected by an over arcing story giving the anthology its name, starring Twelve and Clara. It also comes with a foreword from Gary Russell, an accomplished Who author (Scales of Injustice, Divided Loyalties) and script editor during the Davies era. The Sixth Doctor and Peri are aboard the recently inaugurated Transcontinental Railroad in 1869. However, the train is soon assailed by bandits, including one whose legend has spread all over the west. An unstoppable man of metal known only as “Iron Joe”.